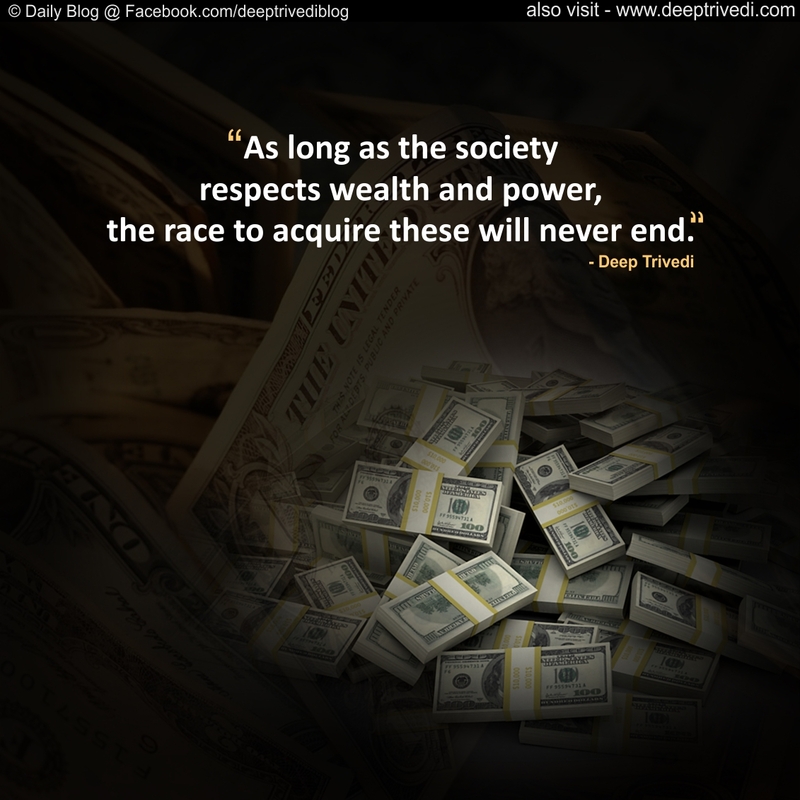 As long as the society respects wealth and power, the race to acquire these will never end. All the struggles of life are less dependent on circumstances and more on our state of mind. This is the reason why “a resolute mind” is easily able to conquer even the toughest of the problems.